Competitive sports make for tough business. In Canadian Junior ‘A’ hockey, there are 130 teams across the country. Only one wins its final game. The rest come up short. And even for a group that wins everything, there is still an ending to the story. That quiet ‘day after’ that no-one ever seems ready for. Clearing out stalls. Saying heartfelt farewells. In a lot of ways, it does feel like the curtain fell on this year’s Warriors season a little early. Many of us were thinking the ride might last until May. Some feel cheated. Others unsatisfied. Be it nostalgia or regret, it’s certainly sad to see this chapter end. 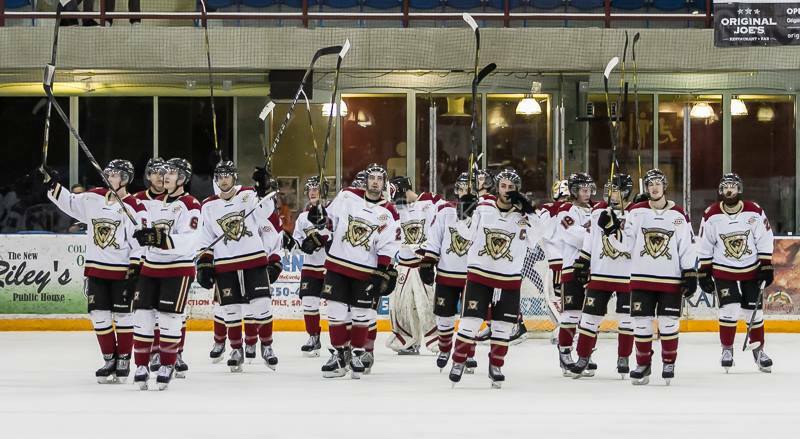 The 2013-14 West Kelowna Warriors may not have lived up to hopes and expectations in terms of banners and staying-power. Search the history books, and this club won’t jump out at you right away. Second place in the division. A first-round playoff exit. 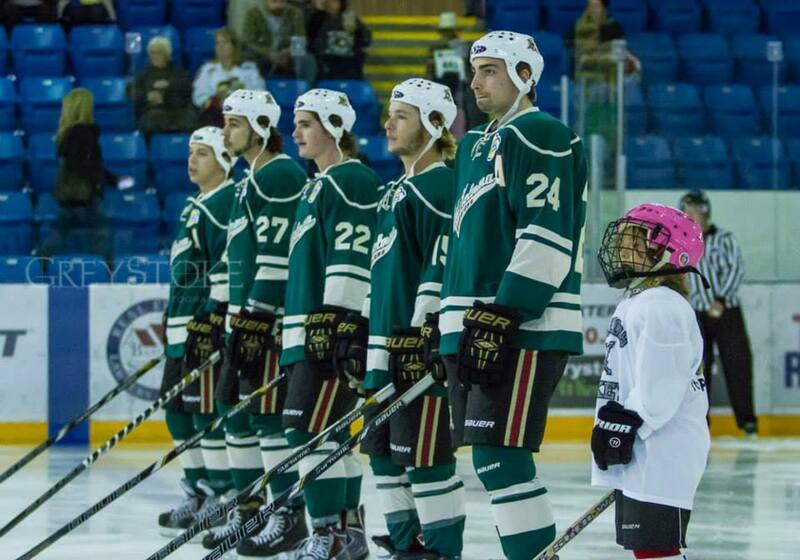 Ignored all year (as usual) by the CJHL and still overshadowed by the giants to the north and south. Look a little closer though, and there are still all kinds of compelling stories to tell. Guys earned scholarships to prestigious universities in the USA. Lifelong friendships were forged. Boys took searching steps towards manhood. A community was not just entertained, but uplifted. When I was in journalism school, an instructor told me that “the best stories often come from the losers’ locker rooms.” The adage has stuck with me all these years later, as I try to do justice to a team that deserves so much more than footnotes. Second in the division? Like Jack Nicholson’s gauzy eye in the movie ‘Chinatown’ it’s a plot-point that will sting for a while. Of course, this team wanted to win banners in the playoffs, not the regular season. But to come so close (zero points back, as it turns out) only to be left empty-handed was not only frustrating, it was a concrete blow. Wayne Moore is right in some ways. The Warriors built a team to beat a Penticton club that had been its undoing the past few seasons. But finishing second meant a much harder first-round opponent, and one it turns out West Kelowna just wasn’t calibrated for. The Warriors were unhealthy going into the Vernon series, of course. And as things went from bad to worse you could see the dreams unravel. Conjure up whatever ‘if only’ situations you want, this club really needed one more point during the regular season. Things may well have turned out differently. But them’s the breaks, and that’s the way sports go. This is also the nature of life in the Interior Division. I talk about it all the time, but how can you not? The Salmon Arm Silverbacks were an RBC contender this year, but never even got to play in the post-season. Life is tough in this division and this league. It’s what makes it the best place to be. And we can’t talk about the playoff loss without paying tribute to all the good things this team has done. 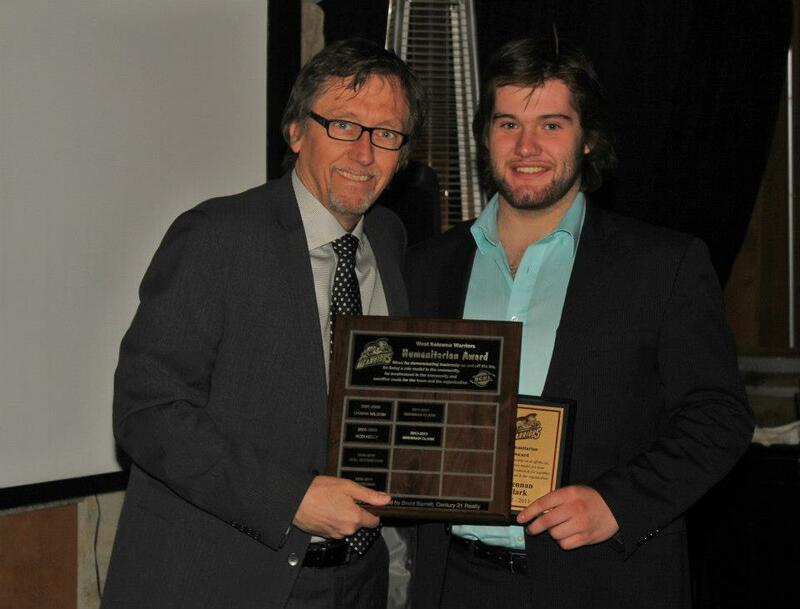 I’ve already mentioned scholarships, and they’re a high-profile example of what the BCHL does so well. But how about the schoolchildren inspired to play and to learn by visiting groups of West Kelowna Warriors? How about the charities supported? How about the fans touched by individual moments of grace and humanity? And how about the simple entertainment value? I mean, this team played some outstanding hockey – in many ways a pure and beautiful form of the great frozen game. I found myself spellbound at times, watching such crisp passing and such fast-paced poetry. What a treat. For me though, this time of year is never about the games won and lost or the championships celebrated on TV screens. Playing hockey in spring is awesome, but it’s also the season of change. I look at this group of graduating players, and I can’t help but feel a pang of sorrow to see these young men moving on. Brennan Clark: Retired, but not forgotten. Now, this list could change a little. I could be wrong already. I’m under the impression right now that both Jordan Masters and Jason Cotton are heading back for another year. They could tear this league apart, if so. Ryan Ivey, as well. But summer can be a vortex, and we’ll wait until the fall to see just what shakes down. I’ll miss these guys, especially those moving on. That’s an impressive list of talented hockey players and awesome young men. I wish these guys the very best. Thanks to the 2013-14 Warriors. Thanks to the coaching staff for providing such excellent hockey and for the support along the way. Thanks to the organization for giving me this chance. well said! The Warriors were awesome this season and are a wonderful group of young men who made our community a better place. Best of luck to those who are moving forward with their lives and we look forward to seeing the rest next fall for a new season of wonderful, entertaining hockey! Go Warriors!! !